The US version of Netflix is for people in the US (obviously!) 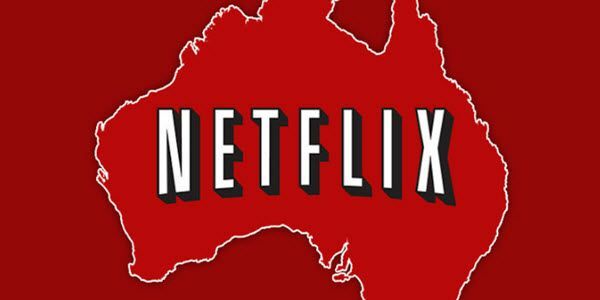 so why do people want to watch US Netflix in Australia and that too for free? US Netflix is certainly the best version of Netflix, as it allows you to watch all the original content of the service. Thousands of HD videos are waiting for you to enjoy, whereas the other versions of Netflix cannot match the authentic one. This happens due to several copyright restrictions, related to content that is not free to broadcast. Other channels and companies may have paid for these copyrights and Netflix cannot intervene. However, this puts people all over the world at a hard place. Should they stick to the version of Netflix they have been dealt with or should they go for the original US Netflix, despite their location? If it is the latter, how should they bypass geo blocking? Fortunately enough, there is a reliable way for people in Australia and all over the globe to overcome geographical limitations applied by others regarding Netflix. With the use of VPN, everyone can mask their IP address and gain access to any content they want. How? Well, with the right choice of VPN servers. In other words, if a person resides in Australia or Pakistan (as an example) and wants to watch US Netflix, all he has to do is to connect to a US VPN server. In this way, he will appear to be located in the States and the problem is solved! In most cases, VPN is available to subscribers at a reasonable price rate. If you are tight financially, though, you will be pleased to hear about the new, bold move from Opera browser. They have integrated VPN for free and without any limitations to all the browser users around the world. So, even without paying a dime, you will be able to bypass the geographical restrictions applied in your country and succeed in watching US Netflix. Do you want to know how? Check out our instructions! First of all, you need to go to Opera website and head to developer’s blog, to download the browser OS. Then, you have to open the browser and go to Security & Privacy. From that point, you enable VPN, and you allow Opera to work its magic. From the VPN locations, you choose United States (because this is where US Netflix is available for broadcasting). Visit Netflix and login to its services (even with credentials from a different country). If everything has gone according to plan, you will be able to access the whole content of US Netflix. Are you worried as to the legitimate character of such a process? Well, there is indeed a grey area on this matter. There is no direct legislation put into effect concerning the banning of VPN for these purposes. This means that you are not breaking any laws. On the other hand, Netflix has begun blocking VPN and proxies in an attempt to eliminate the threat of bypassing copyright restrictions globally. It’s worth mentioning that even Netflix has started blocking VPNs and proxies, Opera browser’s free VPN isn’t blocked by them yet. And whenever you start experiencing such issues even with it too, you can simply head over to our guide to fix Netflix proxy error. So, even though typically you are fine, and you are using the VPN without being illegal, there are copyrights that you should think of. We are not going to support either of these two sides of the same coin; we have gathered all the facts, and the choice is yours to make!